Eva Rodgers joined Dr. McCaffery's practice as a licensed Clinical Esthetician and Cosmetologist and has over 20 years of experience. 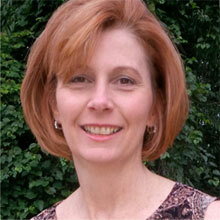 She is also a licensed Massage Therapist and Certified Wellness Consultant. She graduated from Bellevue University with a B.S. in Behavioral Science in 2007 and Luzerne Community College with an A.S. in Health and Movement Sciences in 2001. Eva is originally from the Pocono Mountain region of North Eastern Pennsylvania where she owned and operated her own spa and wellness center. Since moving to the Pittsburgh area in 2007, she has worked as an Esthetician, Massage Therapist and Wellness Consultant for leading skin care specialists. Eva has dedicated her career to helping patients achieve total beauty and wellness for both their skin and body.